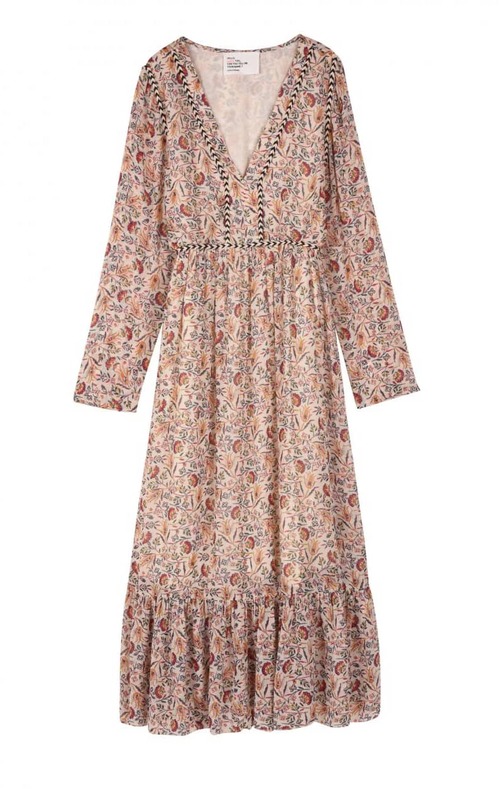 Leon & Harper Rouky long dress in ecru with all over floral and leaf print. Braided detail on bodice and yoke. V neck and frill hem. Perfect for long hazy summer days!